What is a good serve in table tennis? What is the real purpose of a serve? This is a very good question that every player should understand. Because a serve (or service) is one of the most important shots in table tennis. It’s the only shot that you have full 100% control over it. 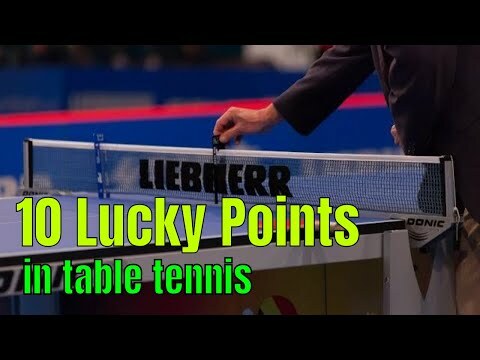 What prevents professional table tennis players from always serving on the edge of the table? It is a good question. As in theory, top players can practice serving at the edge of the table. It’s not impossible. But if you asked the same question, maybe you don’t understand the purpose of a serve in table tennis. Set up serve: Its purpose is to set-up for the next attack. Ace serve: Its purpose is to win the point directly. Due to the new trend, it becomes harder and harder to win by an ace serve now. Most of us, amateur players think that serving to the “edge” is strong! So that pro can learn and try to serve to the edge! So they don’t understand what you need to do in a serve! Give advantage for the next shot or not? Serving to the edge doesn’t have any of these purposes. Serving to the edge is so predictable. So it’s a weak serve. Serving to the net is to try to win directly. No advantage for you for the next shot. Serving to the edge is not deceptive. Because the opponent can guess the placement and no spin deception. Serving to the edge is not safe and not consistent. No one can assure the 100% of success. That’s why pro never trains to do that! Serving to the edge is very weak! Easy to predict! And also risky, less consistent!